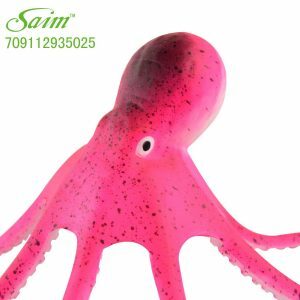 This 8 inch octopus has an awesome glowing effect that will light up your fish’s world! 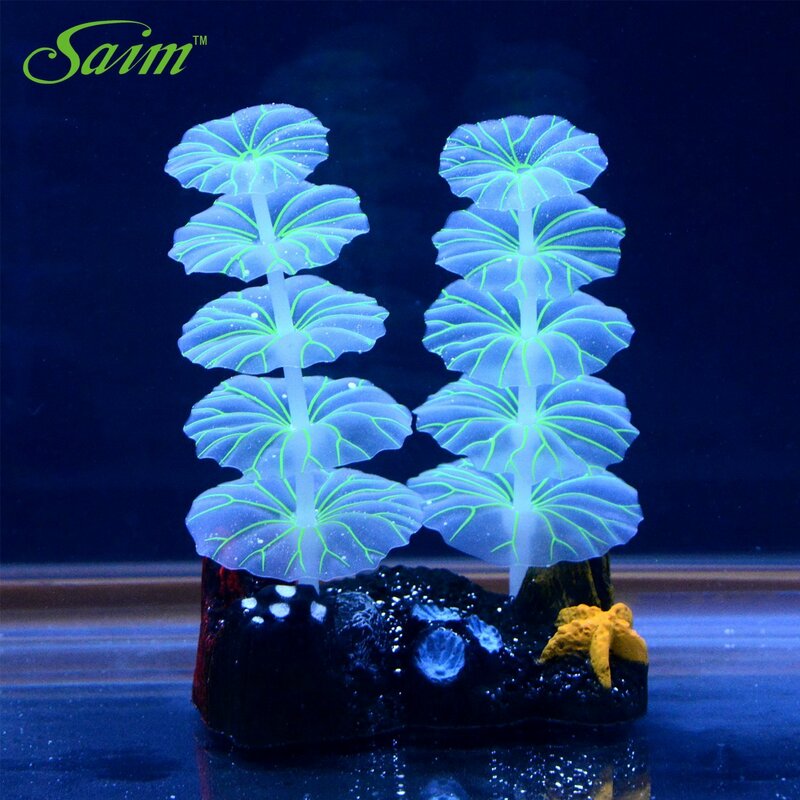 It comes in red, yellow or light brown, or you can get all 3 and have two awesome additions to your aquarium! 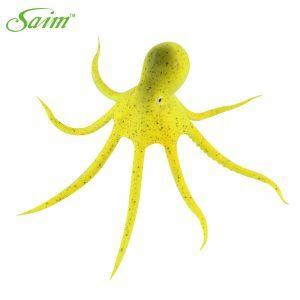 But don’t worry about these octopi, they are friendly dudes, and are also made without nasty chemicals so won’t harm your fishy friend. These plants are extremely well made and look seriously cool! They are fade resistant and non toxic, making them perfect companions for your fish. The plants have a badass glowing effect in dark light and can really brighten up a room. Standing at around 4 inches tall, these plants can fit comfortably in most aquariums without intruding on your fish’s space. Having one of these on each side of your tank provides an awesome surrounding. This glowing flower garden is slightly larger than the plants above, standing at about 8 inches tall. It can be a great centrepiece for your aquarium and will add a new object for your fish to explore. 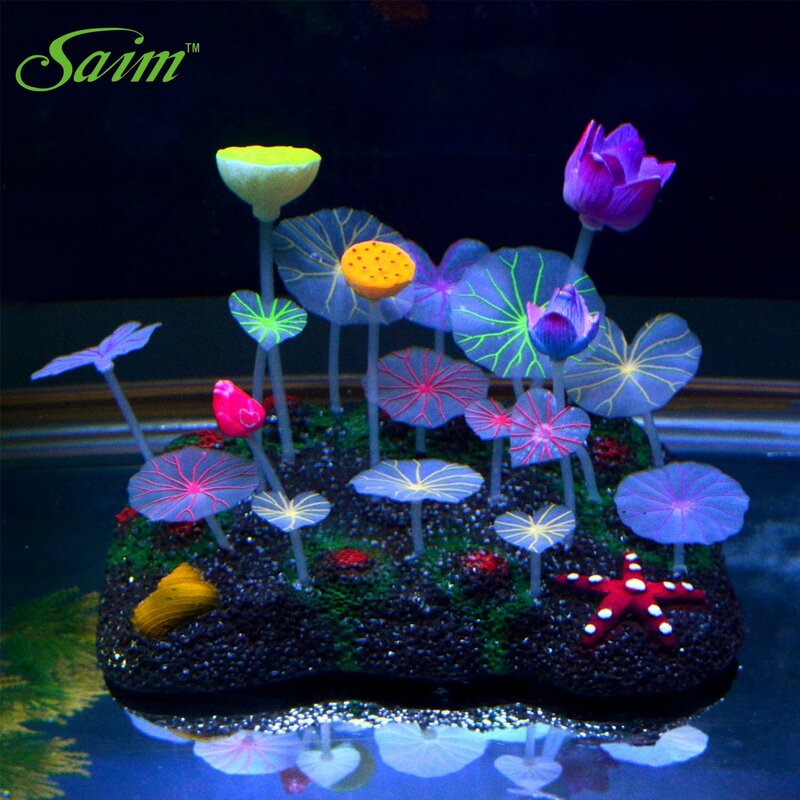 These flowers are made from fish friendly materials and will be safe in freshwater and saltwater tanks. 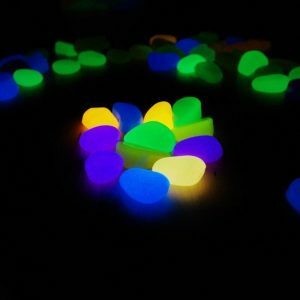 These glowing pebbles are made from a special material that is heavy enough to sink and lie on the floor of your fish tank, but still made from fish friendly and non toxic materials. They absorb the light from natural sources and then glow when the lights are off. There are various buying options you can choose from, purchasing from 15 pieces to 60 pieces. They come in random colours and can really brighten up your aquarium. 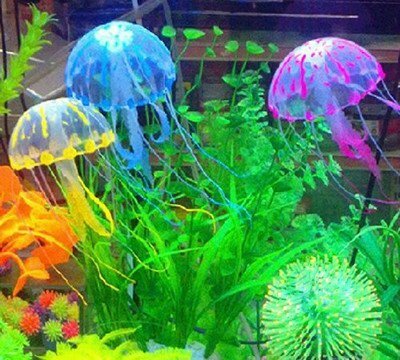 These badass jellyfish decorations can float around your fish tank and give your fish some much needed company! They are fairly small in size yet when you order you get 6 different colour jellyfish, so it’s great value for money! They are totally safe for use with fish and are made from non toxic material. They also provide hiding and cover for fish who naturally like to spend time out of sight. So grab some of these jellyfish right now! 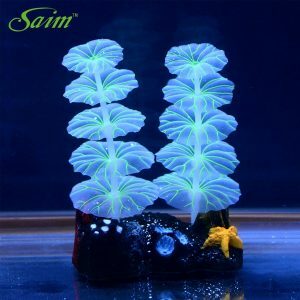 So there we have a list of some awesome glow in the dark decorations for your aquarium! Every single one of these items has our stamp of approval on them, and have loads of positive reviews and comments that you can read by clicking the button below the images. FishTankBank is the home of awesome decorations and ornaments for your fish tank! Every item listed above is shipped and dispatched by Amazon, so you know that your item will be delivered safely and professionally.